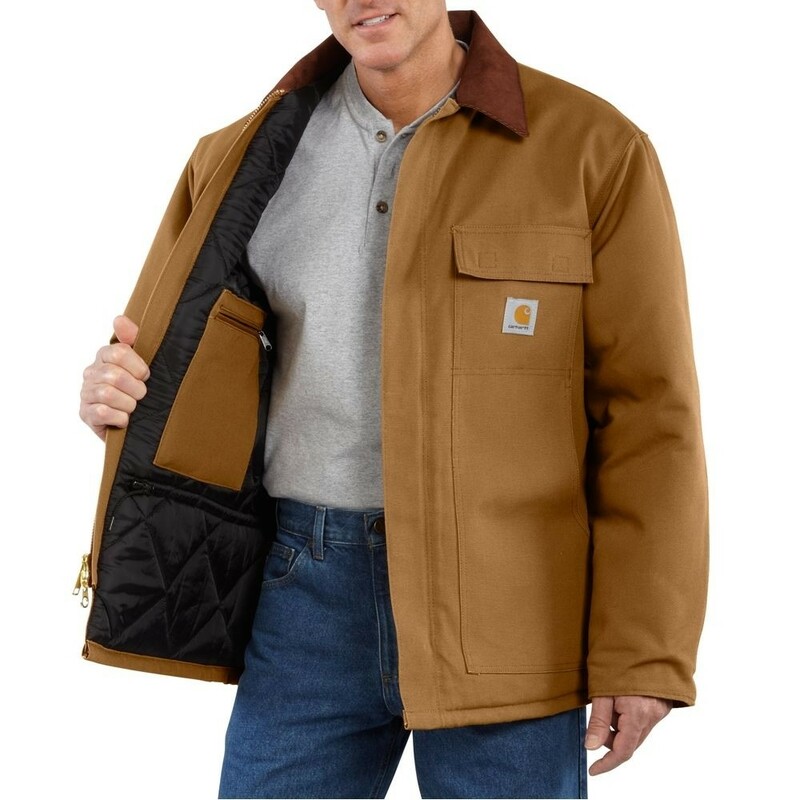 Gear up for the cold with Carhartt's duck traditional coat featuring a nylon lining quilted to arctic-weight polyester insulation. 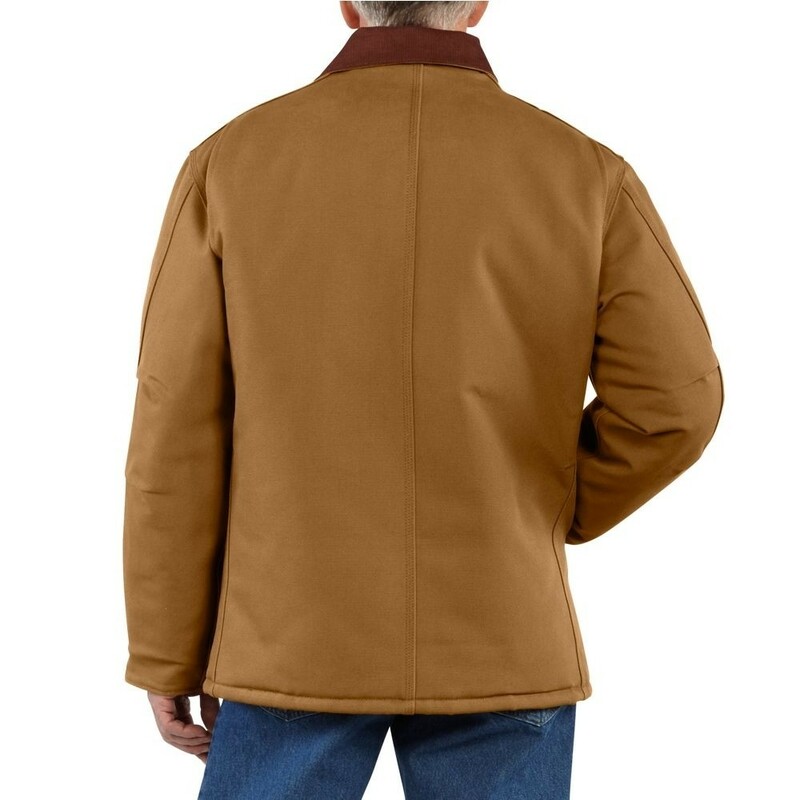 Made of 12-ounce, 100% ring-spun cotton duck, the coat is equipped with two chest pockets, two large lower front pockets, and two inside pockets. 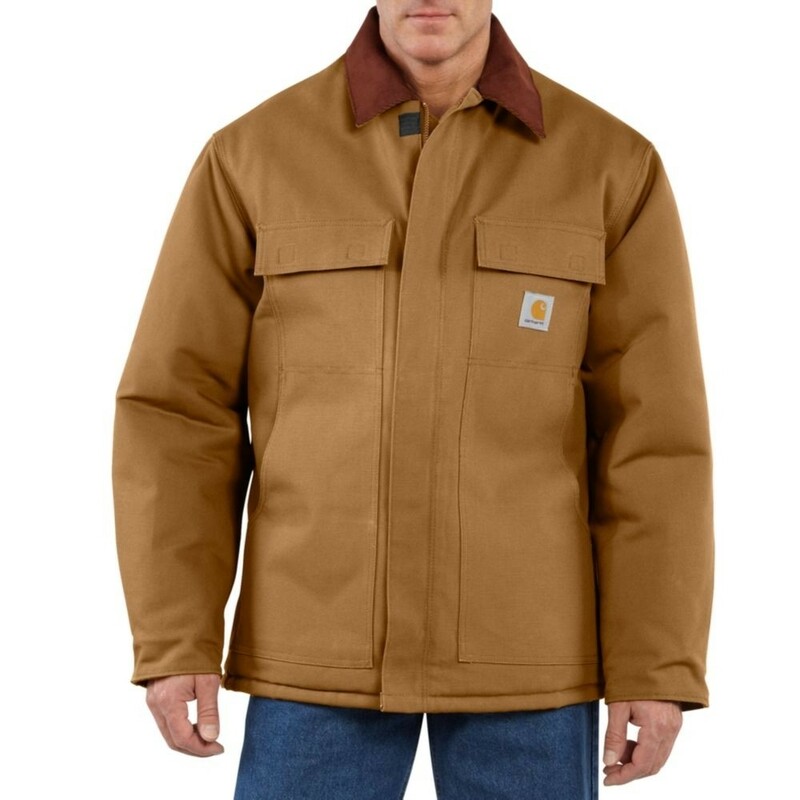 The corduroy collar offers under-collar snaps to accommodate an optional hood. The main seams are triple stitched, and the split back plus pleated elbows work to ensure easy movement.